The reputation of our favorite company may have been sullied during our last post concerning Nintendo’s early history, but now let’s step away from the darker history of Nintendo, and embrace their shining rebirth. Nintendo realized quickly during its financial success of selling cards with Disney characters, that there was a tremendous opportunity in marketing child products. They exploited the contacts and expertise they developed from distribution of card packs and set off to find equal success in the toy industry. At that time, Bandai and Tomy where the big hitters in the toy industry and Nintendo needed to capture significant market share to pay off all the debt from their previous ventures into hotels, vacuum cleaners, and taxicabs. As the story goes, Hiroshi Yamauchi (then CEO of Nintendo, Co.) was casually strolling through one of the Card factories when he saw an extending arm. 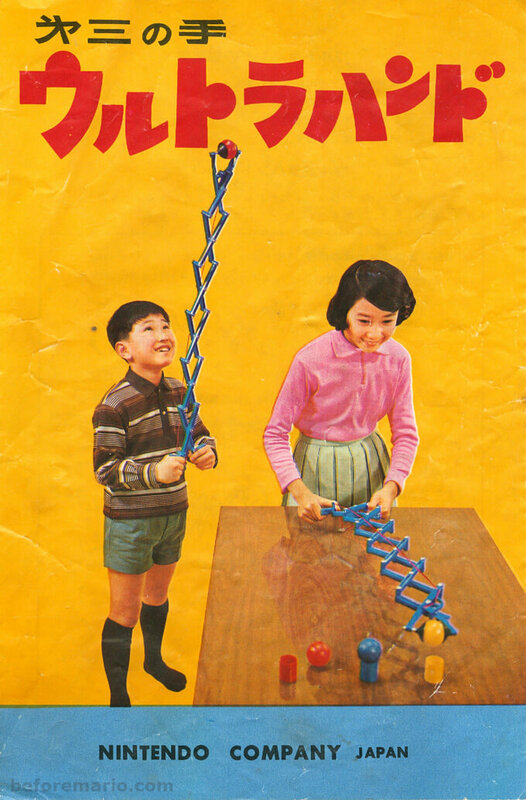 It was made by a maintenance engineer, Gunpei Yokoi, and its purpose was… well he made it to have fun. Yamauchi was so interested that he tasked Yokoi to design and manufacture a toy in time for the Christmas sales rush, so Yokoi Created the Ultra Hand. The Ultra Hand was the first huge hit for Nintendo As a Toy Company and Nintendo Still pays homage to it in several games. After the Ultra Hand’s huge success, Yamauchi took Yokoi off from maintenance duty and placed him in product development. There Yokoi’s experience with electrical devices would make Nintendo produce several novelty toys that could give the market something they had never seen. This is when we see Nintendo become “Nintendo”. One could say Gunpei Yokoi was critical at determining Nintendo’s present and that Nintendo would have been much different without him. His discovery was truly a divine moment in gaming history. Yokoi’s knowledge of electronics, and the full support of Nintendo’s leadership, ensured Nintendo’s toys were at the peak of modern technology. Yokoi developed the Kosenju series, which would later become the starting point for Nintendo in gaming. The Kosenju were handsets that had light beam weapons and targets. 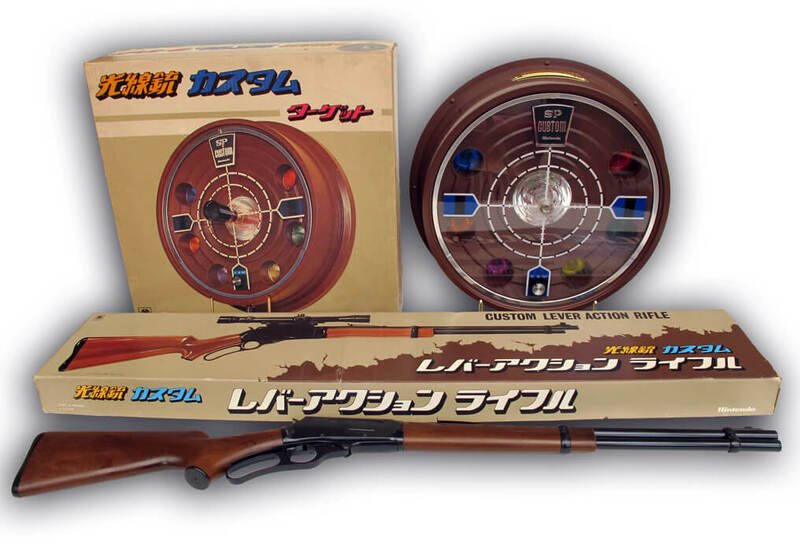 Kids could play with western style rifles and pistols that not only looked fun but the targets would react to the light waves the guns shot. Targets would actually react when you shot them. This right here is the predecessor of one of my favorite NES games, Duck Hunt. The technology behind these sets would propel Nintendo into the gaming world. After collaborating with Magnavox Odyssey, where they honed their ability to produce light guns for video games, Nintendo received exclusive rights to distribute the console in Japan. Nintendo did very well marketing the Odyssey, and after this joint venture, Nintendo realized just how profitable video games were. Nintendo began pushing to break into the video game market. At that moment, Nintendo was not capable of making a console, and would instead make “TV Games” and arcade games. Making TV Games was the catalyst to shape Nintendo into what they would become. These consoles came with games preloaded; they were not like current market home consoles because you had to buy a new one every time you wanted a new game. Nintendo is still making these today. TV Games were one of the biggest successes of Nintendo so far, managing to sell approximately 5 million units from all the different TV Games they produced. 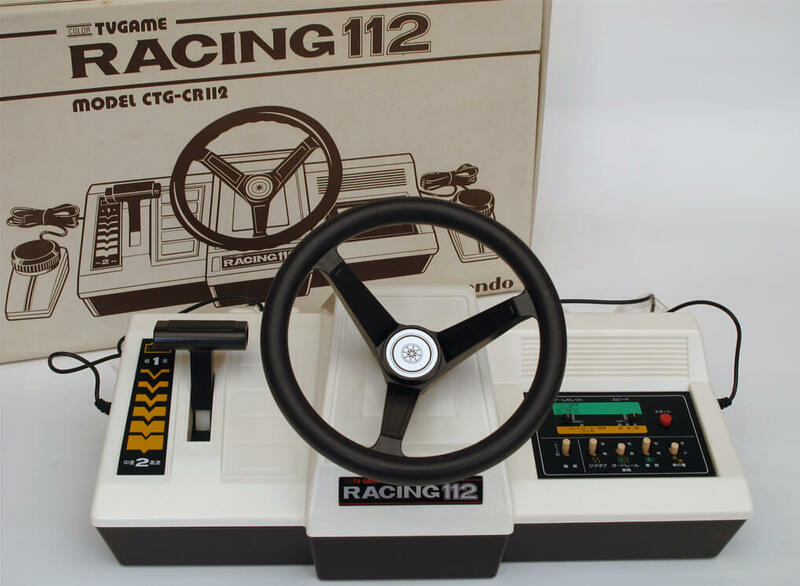 This was Nintendo’s Color TV Racing 112, this is the true plug and play experience. If you never played this get a Nintendo Classic Mini, it even has multiplayer and its really fun. Now this is Nintendo’s strong point. Nintendo started developing handheld gaming in the early 1980’s, the earlier units known as Nintendo’s Game and Watch. While TV Games were selling as much as 5 million units, the Game and Watch managed to sell 43.4 million units. This marked the first global success of the company. It is no surprise that the Game and Watch series were a Gunpei Yokoi creation. Each Game and Watch featured a unique game and watch feature (hence the name). 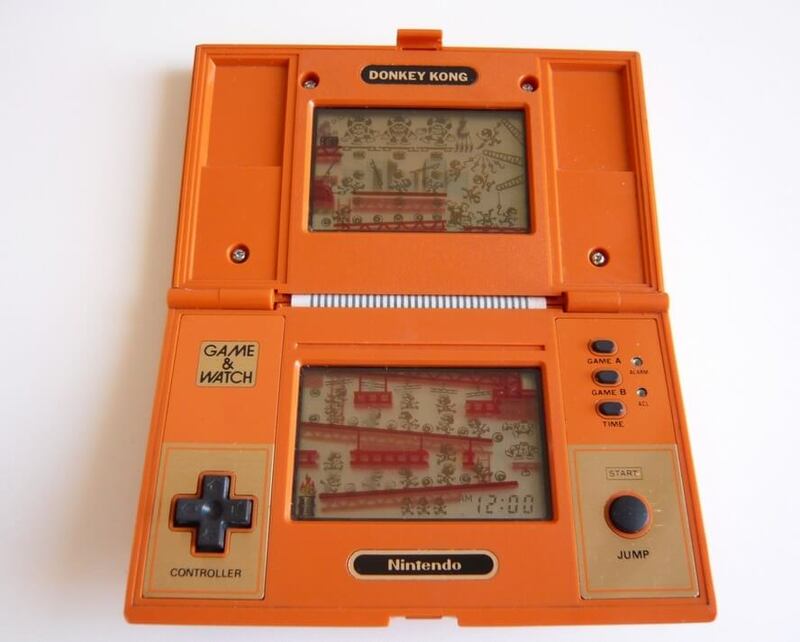 The Game and Watch games were developed from 1980 to 1991 and included several hit titles like Oil Panic, Donkey Kong, and Mario’s Cement Factory. After TV Games and Game and Watch, Nintendo was set on making Video Games their main business. In 1982 they developed the AVS (Advance Video System) which was the predecessor of the NES, it had all the accessories the NES had (including the light gun) but Nintendo never released it. Instead they opted to wait and released the Famicom for Japan in 1983, which considering the fact that Nintendo had to recall many of them due to a faulty chip (losing half a million dollars in the process) was still profitable. Nintendo then set their sights on the American market. The video game market had crashed in 1983 after Atari’s monumental failure. This left the industry with a bad reputation and Nintendo decided this was the time to enter the market. Nintendo decided they would develop a plan to infiltrate the American market, not with a video game console, but with an Entertainment System. Unlike Atari, Nintendo avoided poor quality games by running internal quality control, only allowing games that had their “Seal Of Quality” to be sold. Interestingly, Nintendo limited third party developers to 5 games a year to ensure the quality of third party games. The rule would be bent by Konami who created Ultra Games, a different game studio, which was allowed 5 different games a year as well. This strategy was copied by many other game studios. Nintendo released the NES outside Japan in 1985. They tested different states and then went national in 1986 to become one of the most iconic symbols in technology culture, selling over 60 million units in it’s different forms. Nintendo’s success emboldened competition and a battle with newer foes soon emerged. Join our Email community and have all of this delivered to you! No Spam, all Love. Nintendo Star Copyright © 2019.